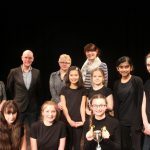 Music at NGHS is spectacular across the Junior and Senior schools, and one of the most anticipated events is the Windblowers Cup competition, of which the Senior Final took place on Tuesday 6 March. 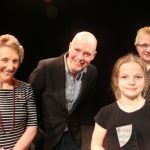 The standard was incredibly high, as it usually is, and the girls performed their pieces in front of the audience and an adjudication panel consisting of guest judge, Dr Neil Bennison, who is the Managing Director of Nottingham Classics; Margaret Frogson MBE, owner of the Windblowers music shop; and Sarah Theobald, also from Windblowers. You can have a look at the programme here to see more about the event, performers and panel. Jennifer Hepburn: Wind category. Jennifer played a Bach piece and a contemporary piece by James Rae. Emily Trease: Strings category. 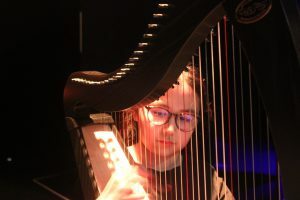 Emily performed two ABRSM Grade 5 harp pieces. Harriet Watkinson: Voice category. Harriet sang ‘I missed you’ from the musical GHOST. 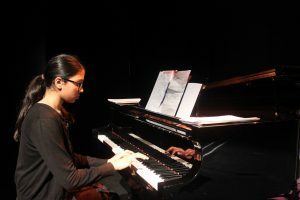 Qing Ling Lu: Piano and Percussion category AND overall winner. Qing Ling played Einaudi. 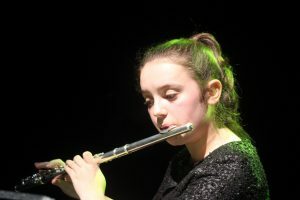 There was also an award for the most promising musician from the first round and this went to Alexa Birken Evans who played the oboe, and the overall school House winners were Hastings. 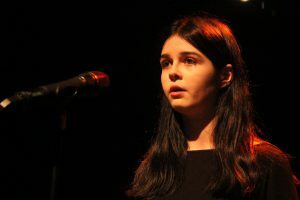 It was a brilliant night showcasing the existing and the upcoming musical talent at the Senior School and everybody was hugely impressed with the high level of skill, creativity and progress in music. Well done to all involved.